If you want to follow the ethos of reduce, reuse, and recycle, or you just want a large whiteboard surface that isn’t making a huge impact on landfills then you should be interested in purchasing these PlanetSafe whiteboard alternative paper card stock. This whiteboard and whiteboard roll alternative is very close to a laminated sheet but is also biodegradable and sells for a very good price. The sheets come in a large 48 inch by 37 inch size and are 100% biodegradable and contain no plastic. 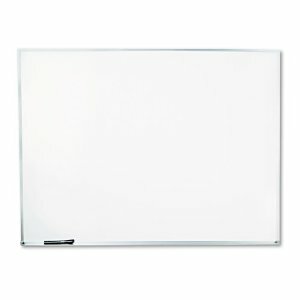 In addition to the eco friendly nature of these whiteboard sheets they are also two sided – both sides can be used as a dry erase board. Recommended use of this large white board surface is to consistently use one side for a long period of time and when you begin to have residual marks on the surface just flip it over and use the other side. Users have remarked that for being a non-standard whiteboard surface the PlaetSafe whiteboard paper lasts for a long time and if wiped off within 24 hours of use the surface can last for years. 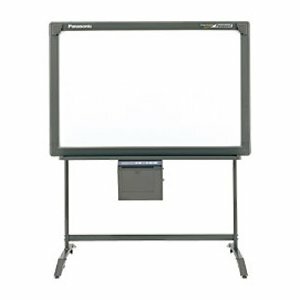 With the PlanetSafe dry erase sheet you also get a free dry erase marker and a clip for holding your marker in place. For additional specifications, click here. The PlanetSafe sheets are great for anyone needing a quick and large dry erase surface but doesn’t have the budget for a high end traditional whiteboard. If you are looking for an extra board for the office or home this might be the option for you. For about $30 you get a double sided sheet that can be used for quite a long time with proper maintenance and cleaning. Another great place for these sheets is the classroom. 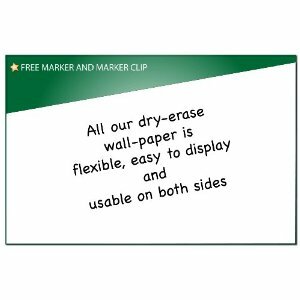 If you are a teacher or helper working with young children and are worried about damage to whiteboards then utilizing these low cost sheets could save lots of money in the long run and still allow the children to make use of white board surfaces. If you are looking for a “green” whiteboard and want a quality dry erase surface then these PlanetSafe sheets are for you. Available now at Amazon.com.